Emerald Galvanizing, Inc. has been providing quality hot dip galvanizing to the Seattle metropolitan market since 1964. Utilizing StormwateRx industrial stormwater treatment technology which had successfully been employed at other galvanizing facilities in the region, Emerald elected to install an Aquip enhanced stormwater filtration system and Purus metals polishing to bring the facility into compliance. Emerald Galvanizing includes approximately 8,700 square feet of paved area and a 4,300 square foot building. Prior to 2008, runoff from the facility had discharged directly into Lake Union Ship Canal which flows into Puget Sound. 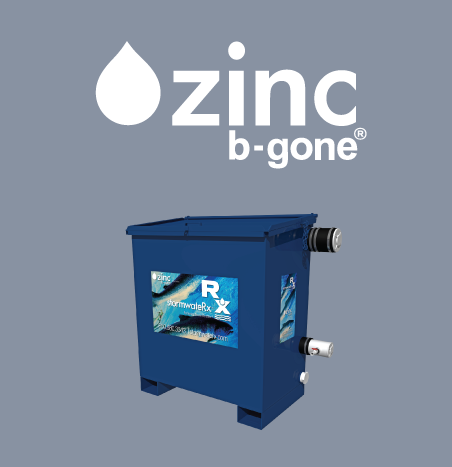 In 2008, the facility owners undertook an environmental initiative to better meet the Washington Industrial General Permit benchmarks, specifically targeting zinc. StormwateRx assisted facility staff with a site-wide design that included diverting roof runoff to a tank for reuse as process water, and diverting the remaining runoff to an above ground StormwateRx stormwater treatment system. 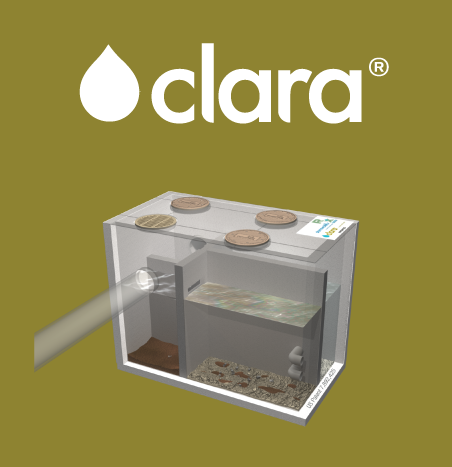 StormwateRx staff assisted with the design integration of the system to the site and provided the required equipment to bring the facility into compliance. 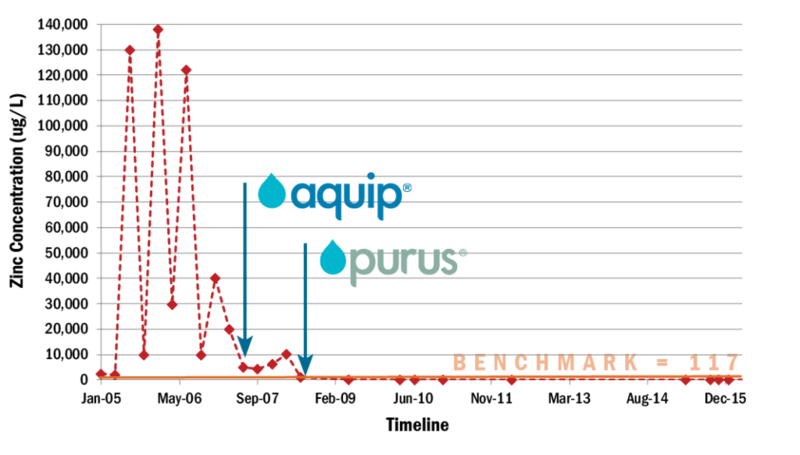 Emerald Galvanizing uses an above ground StormwateRx Aquip® 50SBE basic stormwater filtration system followed by a Purus® 25R Metals polishing system to keep effluent stormwater quality below the benchmarks. 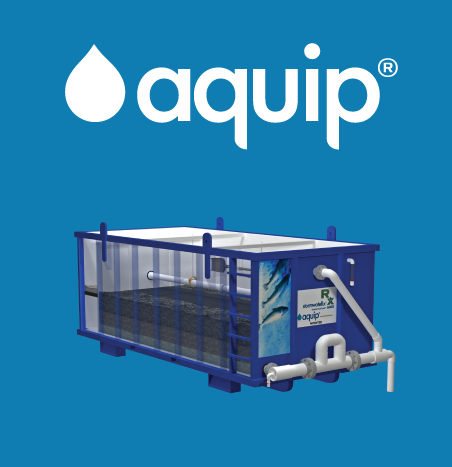 The Aquip enhanced stormwater filtration system conditions the water and removes oil, particulates and some dissolved metals. 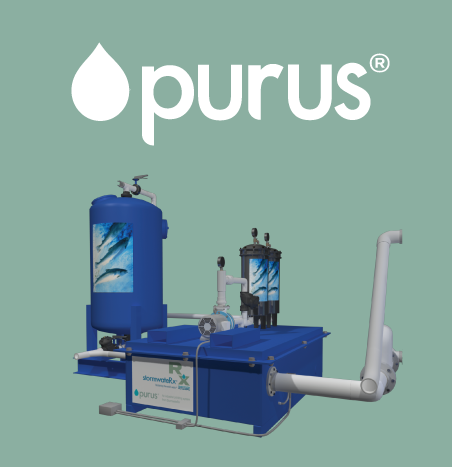 The Purus Metals polishing system removes the residual dissolved zinc and other pollutants to the benchmarks. Please complete form to download Profile PDF.